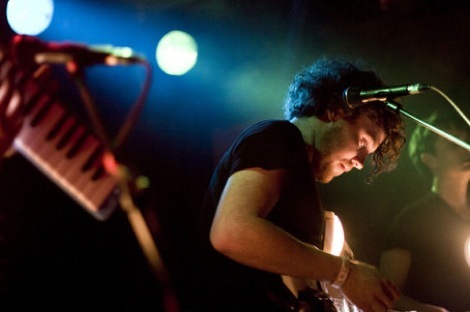 Metronomy give a lesson in polished precision inside a jam-packed Kazimier. 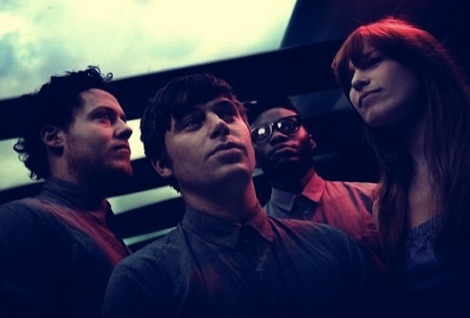 Metronomy are one of the UK’s big success stories of 2011. 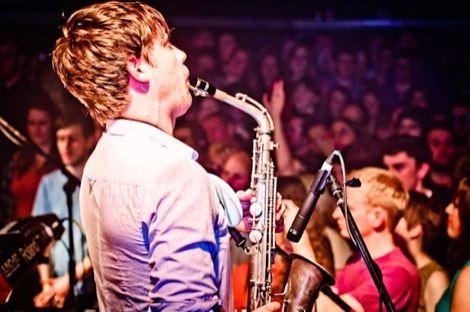 Seemingly out of nowhere Joe Mount has transformed his bedroom dance project into a serious avant-pop band with seriously big ideas creating one of the year’s finest records in The English Riviera while honing his newly-shaped band into one of the sharpest on the circuit. Somewhere in between he’s also found the time to pen pop diamonds for the likes of Nicola Roberts. Mount’s key asset to both recorded output and live precision is economy – nothing is overplayed or overstated. He’s a lean, mean, pop-making machine. And in a packed-to-the-rafters Kazimier (Club Evol could have sold the gig out twice more, or merely have moved to a venue more befitting the band’s current status – all at the expense of atmosphere, of course) Metronomy play to their strengths magnificently. Everything Goes My Way is every inch the bittersweat pop poppet, She Wants gurgles with moody noir intensity as Gbenga Adelekan bass pangs sweat droplets off punter’s chins while condensation dribbles from the venue’s wooden structures. 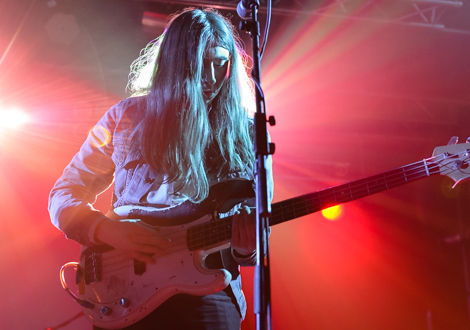 It’s almost strange to hear The English Riviera played back in a different chronology such is its measured cohesion but tracks like the wonky space pop of The Bay and the seaside sultry sass of The Look are wuch winners, Mount and co. can do no wrong. Indeed, the South African goalkeeping Kop legend would have found it hard to stop those legs from wobbling once more, as tonight Metronomy are adding to a legacy which points to future champions. 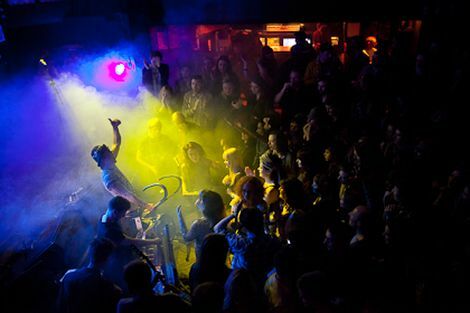 Metronomy live at the Kazimier, Liverpool. 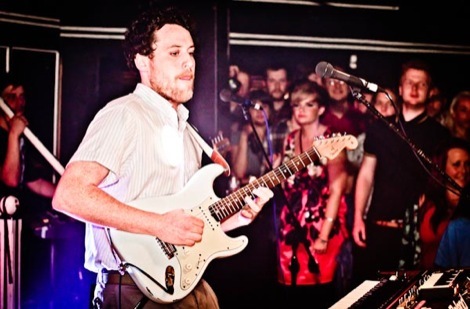 Getintothis chats to Metronomy‘s Joe Mount.